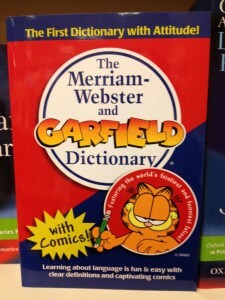 My bad, I didn’t even crack open the “Merriam-Webster and Garfield Dictionary.” Inconceivable! Writers tend to be dictionary Bedouins. We double-check the spelling of a particular word but then wander a dictionary’s pages, noticing words we’ve never used. I’ve spent many a lunch hour entertaining myself with these newly discovered (but not new) words. Sometimes, when an unfamiliar word causes my world to stop rotating for a few minutes, I grab a highlighter and commit (self-contained) vandalism. Just recently I realized how selfish it is to keep my daily lexical journeys aboard the Niña, Pinta, and Santa Maria all to myself. I don’t believe in “junking up” client content with many bloated words in rapid-fire succession. However, I do believe in experimenting with language that might capture a target audience’s atttention. Thus, a new By All Writes blog-post series transitions from its cozy womb to the outside world. In Search of Onomatopoeia, I Found Oort Cloud: As we all know, onomatopoeia is a literary device. These are words that represent an actual sound: buzz, caw, clang, hiss, moo, and the like. For school kids (or authors who incorporate animals as characters in their work), using onomatopoeia in a writing assignment can be fun. In Search of Idiosyncrasy, I Found Ignoratio Elenchi: I don’t think I’ll offend anyone by saying we all have endearing characteristics that others label as peculiar or quirky. But the word idiosyncrasy isn’t the one that’s going to garner you newfound respect or attention from your business friends. Your new secret weapon in getting someone to remember you from an initial encounter at a networking event is…ignoratio elenchi. (Um, what?!?) I like this one so much that I’m including a pronunciation sound bite (so you can practice saying it before laying it on an unaware newbie). In Search of Götterdämmerung, I Found Gormless: Have you ever attempted to pronounce Götterdämmerung? It translates from German as the catchy “twilight of the gods.” (It’s also the name of Wagner’s final opera in The Ring cycle–heady stuff!) Here, I’ll give you a jump start. Ouch–tell us how you really feel, Merriam-Webster’s Collegiate Dictionary. When compelled to call out a competitor’s product or service as dumb, inane, moronic or merely stupid, now you can do so without being blatantly offensive. Go ahead, test it out during a personal conversation. Let me know what happens. I consider gormless a word that will serve you well and often, as long as you don’t blurt out its definition. This is my special gift to you; please treat it accordingly. In Search of Roustabout, I Found Rubidium: Do I even remember why I searched for roustabout in my dictionary a year or two ago? If I didn’t use it in a client’s manuscript (ooh, perhaps not), then it must have been the result of viewing the Elvis Presley classic on TCM. The best way for me to refresh your memory regarding anachronism is by sending you to a cool website (Cracked.com) that has lots of nifty examples. Another clue: R.E.M.’s 1991 album that sold like gangbusters, Out of Time. Are you an old-school disciple of the dictionary? (It’s not a badge of shame, trust me.) If so, do you ever wander when looking up a particular word’s proper spelling? For those of you who mirror my whimsical behavior, what was the most unusual word you stumbled upon in your quest to spell another word correctly? 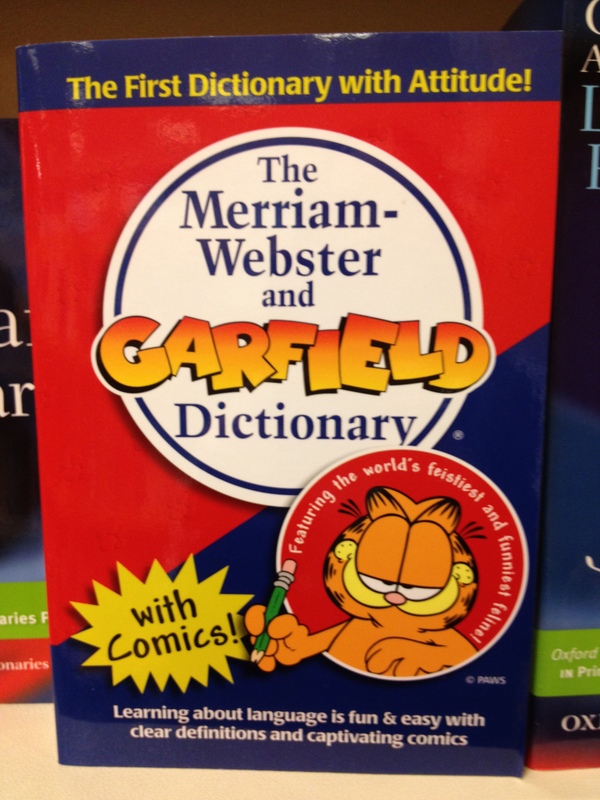 Would a blog-post series regarding “The Benefits of Dictionary Page-Flipping…” hold your interest, or am I delusional to think such a series would spark a bit of viral fire? “And remember, this is for posterity so be honest.” All that’s left to say is…SQUIRREL! Ignoratio elenchi… Finally, a phrase to judge all Presidential debates by. Seriously, Lori, this was terrifically fun, and looks like the start of a beautiful series. Thanks for your encouraging words regarding this topic’s serial potential. I will seed my editorial calendar appropriately.